Hi everyone. I’m happy to be your host this week at The Scoop! We’re gearing up for all things patriotic here at Worthing Court. Memorial Day, Flag Day and Independence Day always manage to turn me into a mushy patriotic mess. 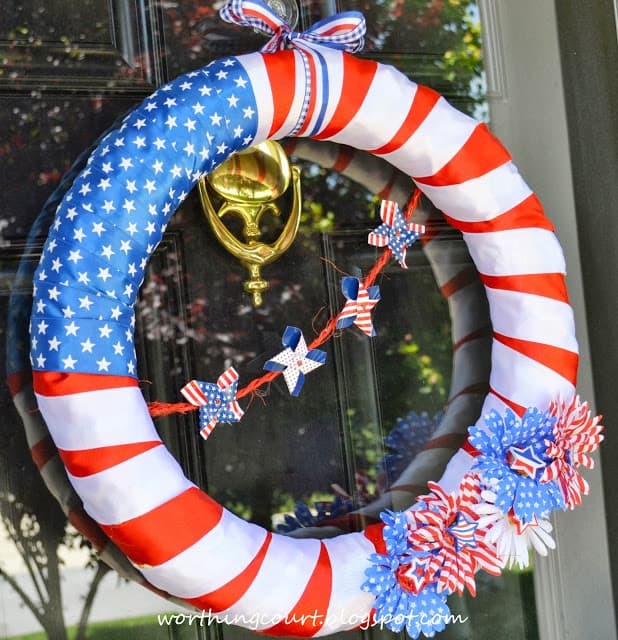 If you’ve been looking for an inexpensive and easy way to show your patriotism, especially over the next several weeks, here’s a tutorial for a super easy to make patriotic wreath that you can whip up in just a few minutes. It is such a privilege and pleasure to party with you every week! As usual, you really wowed us with your links last week. Here are a just a few of the many that caught my eye. 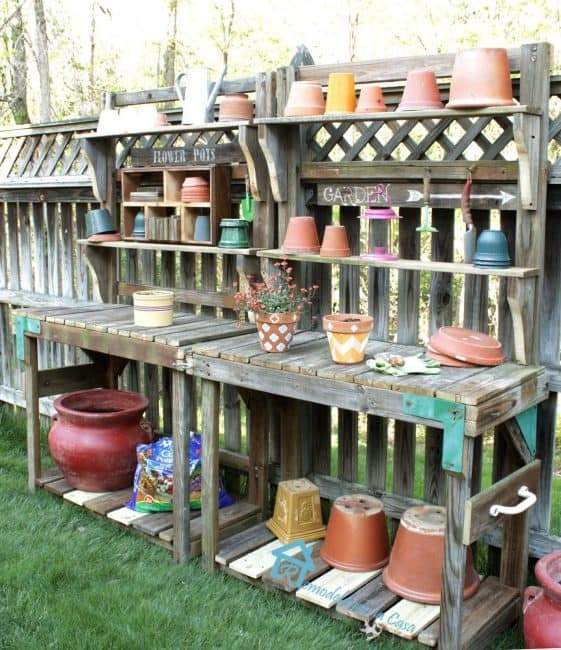 Christina from Remodelando la Casa built two wonderful potting benches out of repurposed lumber. You’ll have to take a look to see the surprising place that her lumber came from. 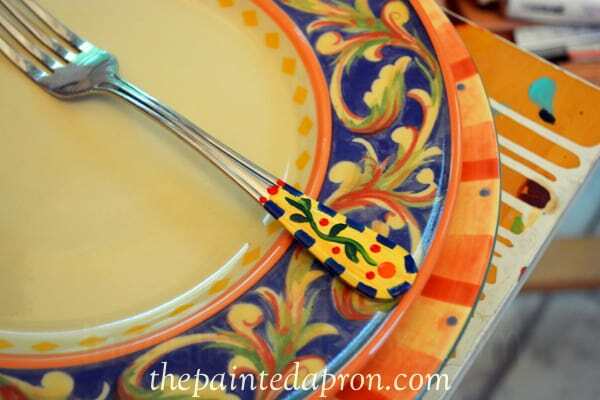 What do you do when you need flatware for a special occasion table? Jenna from The Painted Apron has a totally adorable solution. 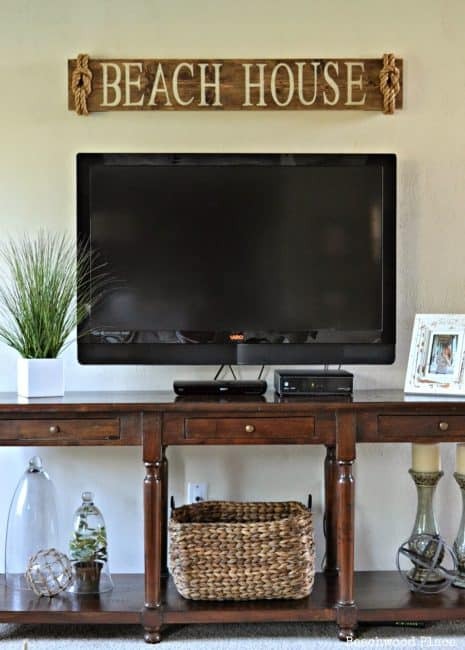 Shirley from Beachwood Place shows us how to make a Pottery Barn inspired beach sign. Love it. Oh yum. 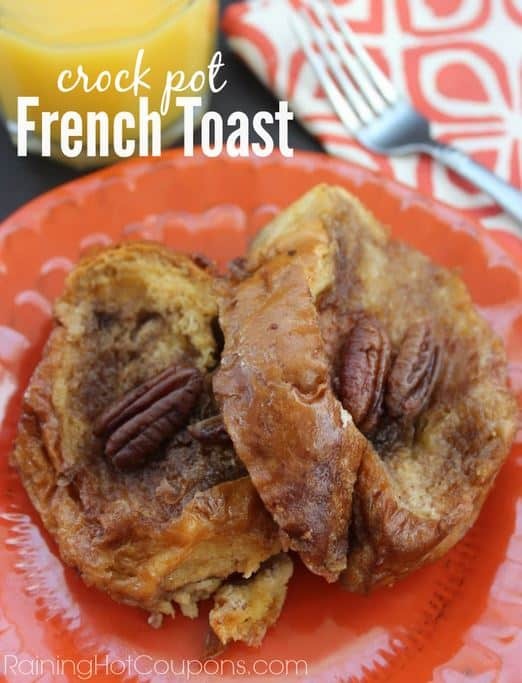 Sarah from Raining Hot Coupons shares a decadent looking recipe for crock pot french toast. I think I gained 10 lbs just looking at the photo. 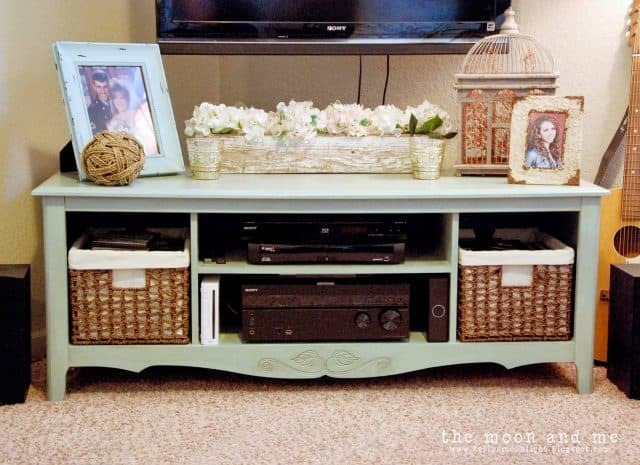 Kelly from The Moon And Me completed an amazing furniture transformation. I was wowed by what this piece started out as. Thank you to every single one of you who linked up and to those of you who just came by to visit last week. Now show us The Scoop on what you’ve been up to! Thanks so much for giving all of us a chance to show off our projects! Hope your week is great! 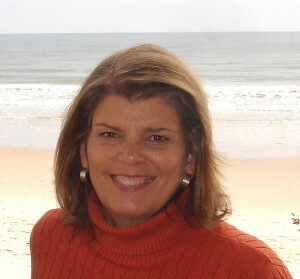 Thanks so much for hosting, Suzy!